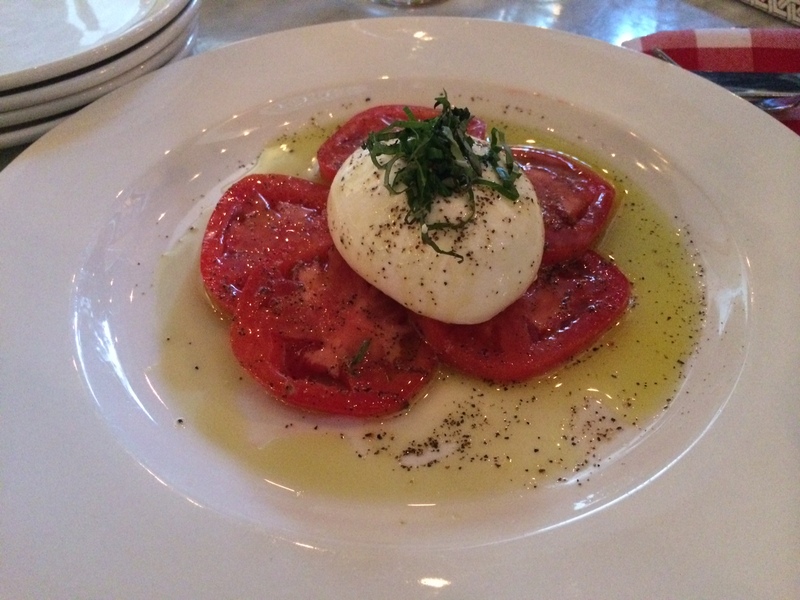 The traditional caprese salad is made even better at Roslina with burrata cheese. It wasn’t quite a Griswold Christmas Eve, but it was close. First, it was hard to get into the spirit when it was about 65 degrees on Christmas Eve as we walked downtown to see A Christmas Carol at Trinity Repertory Theatre. It got worse when we discovered we had arrived at the wrong time, and the show we had tickets for was just letting out. Then, later that night after the girls left cookies for Santa, we discovered a bat flying through our house. And it got away. 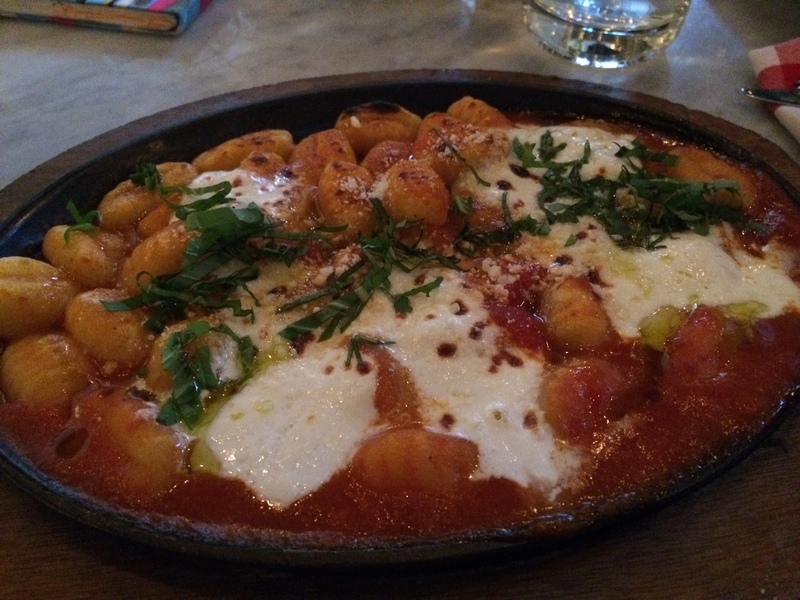 Gnocchi, also made better with burrata. Fortunately, our day was redeemed by a late lunch between those two events at Rosalina, which for me included a caprese salad made with burrata cheese, kumato tomatoes, fresh basil and olive oil followed by gnocchi sorrentina baked with tomato, burrata and basil. The girls both ordered the meatball sandwiches, and Geoff had the eggplant, mozzarella and marinara sandwich. Since there was no burrata in any of the desserts, we settled for some blood orange and coconut gelatos, along with a cheesecake ‘imported’ from the Carnegie Deli. I think Geoff was a bit disappointed to skip La Vigilia (the Italian Christmas Eve tradition of the Feast of Seven Fishes) – but not me. I’ll take a meal full of burrata and marinara any day, including Christmas Eve. And things are looking up. We caught the bat. And Trinity Rep kindly helped us get tickets for another night. And it seems it’s finally freezing outside (be careful what you wish for). That sounds like a great dinner. Hope you had a happy Christmas!